Many clients want their investments to reflect their deeply held values. Most clients have both the need and desire to earn reasonable returns on their assets by considering socially-driven portfolios to be investments rather than charitable endeavors. Advisor Partners combines these motivations by developing an understanding of the values that are most important to the client, while designing portfolios that target index-like returns and are consistent with the client’s individual beliefs. Advisor Partners’ flexibility enables us to tailor solutions at lower asset levels than competitors, while still considering the client’s environmental, social and governance preferences. 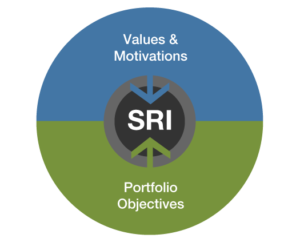 We offer a variety of foundational SRI portfolios along with the capability and willingness to design a fully customized solution. We consider our index orientation and expertise in risk management to be a distinct advantage, enabling us to deliver a more flexible, lower cost solution than actively managed alternatives.